Mr. Robert Wayne Lee of Ellijay, GA, died Tuesday, July 11, 2017, at his home at the age of 64. A native of Halifax County, NC, he was the son of the late Bradford R. Lee & Betty Hargrove Lee. He was born December 26, 1952, in Roanoke Rapids, NC, where he grew up, graduating from Roanoke Rapids High School in 1972. He was an outdoorsman and an avid fisherman, hunter, jokester and prankster. He loved life and enjoyed camping with his loved ones. In addition to his parents he was preceded in death by a son; Ryan Lee, of Ellijay, two brothers; Edgar M. Lee of Garysburg, NC and Bradford Lee Jr. of Roanoke Rapids, NC, and two sisters; Bobbie L Vick and Edith L Spence both of Roanoke Rapids, NC. 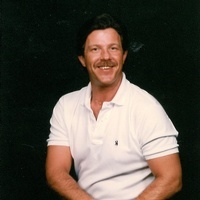 A retired employee of Kroger, he is survived by his wife, Candy, of 27years, two daughters; Melissa Aycock, and her husband John of Castalia, NC and Christy Daniel, and her husband Paul, of Roanoke Rapids, NC, Three Sons; Brandon Lee of Calhoun, GA, Joel Chastain, and Jerald Chastain and his wife Christy, all of Ellijay, Seventeen Grandchildren and Two Great-Grandchildren. Also his twin brother; Rodger Payne Lee, and a sister; Dot L. Benthall, both of Roanoke Rapids, a sister-in-law; Kathy Lee of Garysburg, NC, a brother-in-law; John Vick, of Roanoke Rapids, several nieces, nephews, great-nieces, great-nephews and numerous friends also survive. The family will receive friends at Bernhardt Funeral Home in Ellijay, GA, on Friday, July 14th from 5:00pm until 9:00pm. Funeral services will be held on Saturday, July 15th at 2:00pm from the Bernhardt Funeral Home Chapel with Terrell Frye and Susie Perry officiating. Interment will follow in the Yukon cemetery. Bernhardt Funeral Home is in charge of arrangements.